A great addition to your wardrobe is our new favourite supersoft perforated leather slouchy. Great over your shoulder or wear it across your body. 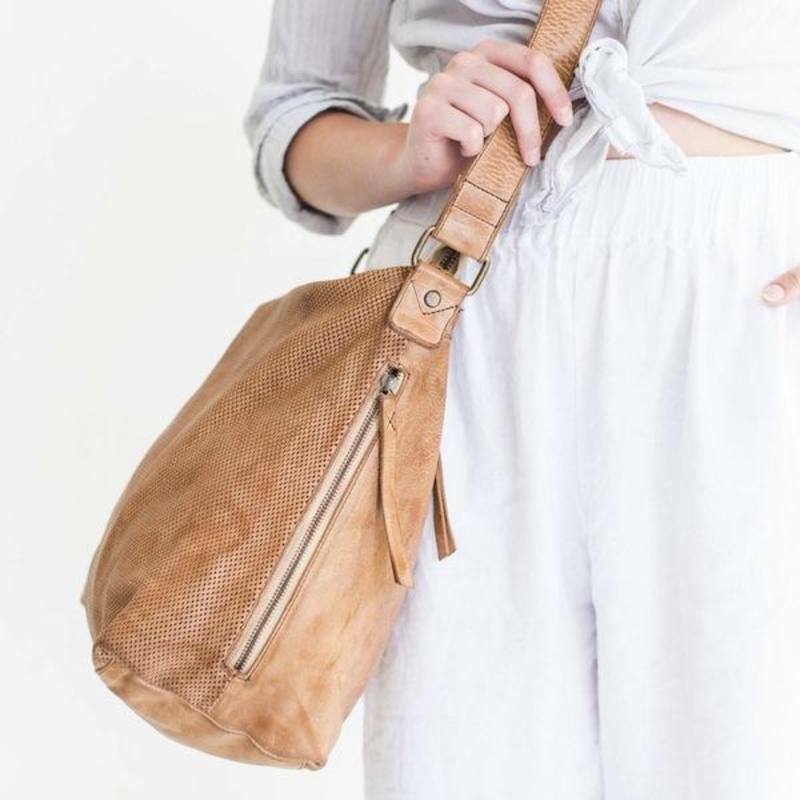 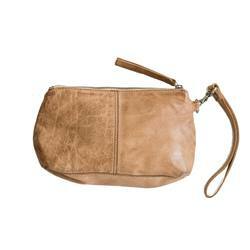 Handcrafted from soft washed and hand finished tan coloured leather. 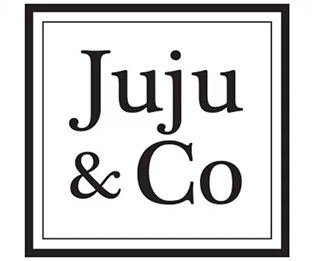 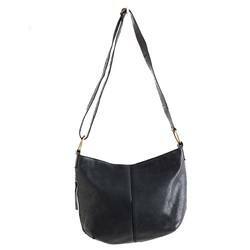 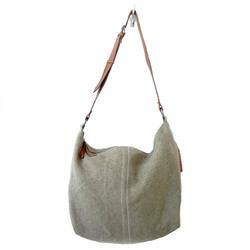 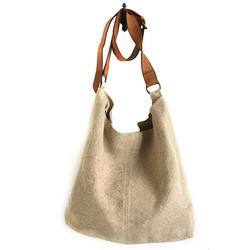 The bag has an adjustable buckle shoulder strap, and dark chocolate cotton lining. 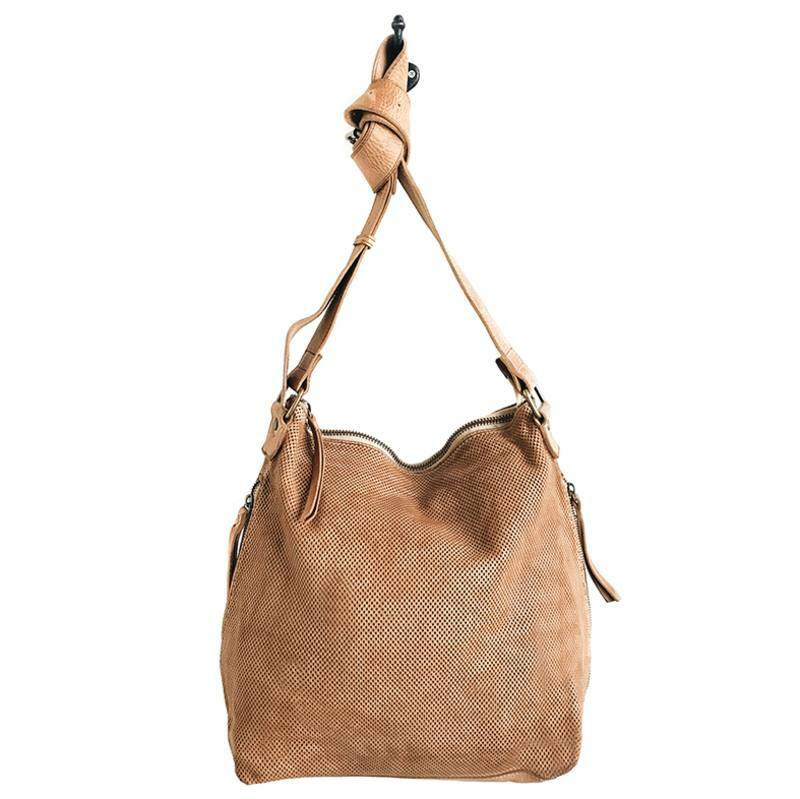 This bag has lots of zipped pockets - an external zip pocket, two internal zip pockets, and a side pocket.